Designing coupons can be a fun way for you to show off your creative side. But there are some important features that all coupons should contain whether they are for products or services. The right coupon campaign can bring in repeat business, attract new customers, and move merchandise cheaper than full-blown ad campaigns. All coupons should have an expiration date. Although there are some practical purposes for coupons with long expiration dates, consumers are more likely to tuck coupons away for a rainy day unless the time frame is relatively short. Be sure the expiration date is clear. 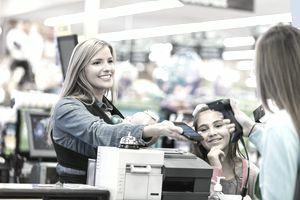 Customers who miss tiny or poorly placed expiration dates only to find out at the checkout counter their coupon is no good may walk away without completing the sale. In general, coupons should have some color and at least one image. Coupons that contain selected images showing a product are more likely to catch the eye. If your coupon is for a service, show an image of happy people or satisfied customers. Consumers respond better to images of people than they do to generic images of things. For example, a moving company will likely have more success if their coupon campaign shows a happy family in their new home than they would use a picture of a moving truck. Be careful not to overdo your coupon with images because the text is also important. Be sure to include store location, hours, a phone number, or website to make it easier for customers to find you. If your location is hard to find it is helpful to include a small map or brief directions. If there are restrictions on your coupon be clear. Do not try to trick the consumer into coming in on days when coupons are not valid, or small print that says "not valid on sale items," etc. The more honest you are with your coupons, the more trustworthy your business will seem to customers. A good example of "what not to do" in coupon design can be seen in Best Buy coupons. They are often filled with tiny print about what their coupons can be used for, have long rambling lists, and coupon restrictions are also hard to read. When choosing the text font color and size, bear in mind your market. Senior citizens are more likely to be vision impaired. Men can suffer from color blindness (7-10% of all men cannot see red and/or green) so if your primary audience is men, remember some men may not be able to tell red or green from gray. Other stores (most frequently grocery stores) offer double coupon days. These are sales pitches that allow customers to bring in clipped coupons from manufacturers and get double the face value off from their purchases. Have a way to track the success of your coupon campaign. Identify coupons with barcodes or numbers that give you information about how you distributed the coupon (i.e., the Internet, a newspaper, the radio, etc.) If you are low-tech and do not have barcode ability, make the borders of your coupons different colors and manually process them. Remember, coupons can be inexpensive to produce and distribute when compared to other forms of advertising, but be sure that your business can afford any discounts you offer. Factor in the cost of the coupons and try to at least break even. The main purpose of coupons is to draw in new customers who use the coupons and buy other items. And, hopefully, they will be customers who will return to your business even on days when they do not have coupons in hand.